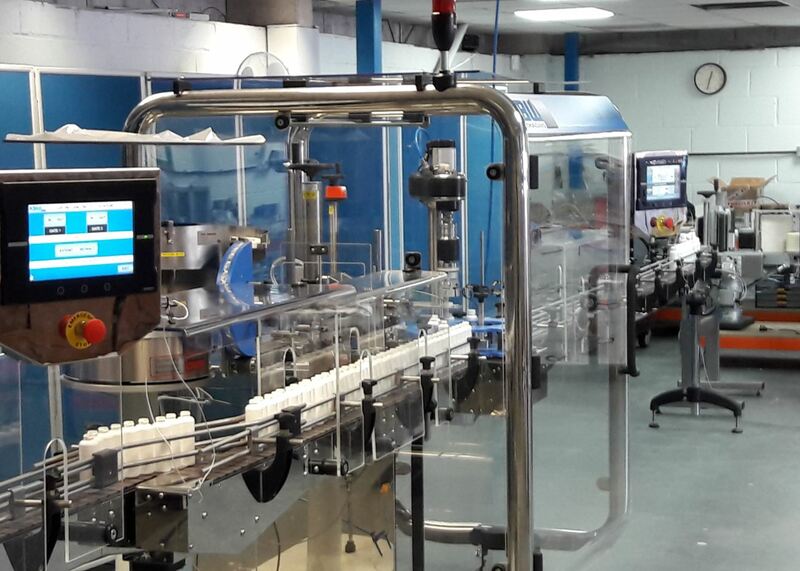 packaging machines such as Liquid filling, capping, tablet counting and labelling machines. Capping Machine primarily for Screw Caps and configurable for Press caps and ROPP cap closures. The output capability of this machine is 50 – 60 per minute, under optimum conditions. Servo control and smooth container handling are features of the AK0060 Capping Machine. As well as the 9” colour HMI Touchscreen, which provides the user interface with programmable recipe management. Additionally, the illuminated status beacon provides a clear visual indication of machine operating status. A wide range of cap and container sizes can be capped on this machine. Furthermore, Screw Caps are applied with accurate servo torque control. 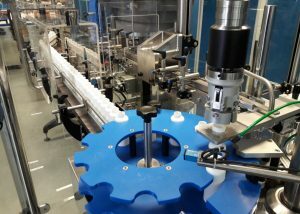 The AK0060 Screw Capping machine applies caps at up to 50 – 60 packs per minute. It is a single head, indexing machine, and output is dependent on the characteristics of the cap and container. In addition, the machine can be configured to be 6 or 12 index stations. From loading the vibratory bowl feeder with caps, either manually, or automatically via a bulk cap elevator system, the caps are agitated by vibration. The caps are automatically and correctly orientated by the dedicated cap tooling inserts, in the vibratory bowl feeder. Subsequently, the caps exit the bowl feeder and travel through a cap specific change part turnover assembly. From this, the caps exit the right way up and feed onto the cap feed belt arrangement. Then, the caps are centrally guided, by adjustable guide rails, as they are transported along the belt and fed into a cap specific transfer plate. Within the operation sequence, the cap transfer plate slides back, to collect a waiting cap. Following this, the cap transfer plate extends forward, and provides smooth transfer of the cap, as it accurately positions the cap beneath the path of the capping chuck. At this point, the capping chuck descends, to a height position, entered via the program recipe, to action the cap pick-up. After the chuck jaws grip the cap, the capping chuck returns upwards. Following this, the cap transfer plate retracts, to be clear of the capping chuck path. Then, once the cap transfer plate is clear, the capping chuck descends, in a controlled movement, towards the waiting indexed container beneath. In parallel, containers are guided and supported as they travel centrally along the slat conveyor. And they feed into the container specific changepart starwheel and back-plate arrangement. Following this, the starwheel indexes the containers around the capping machine. 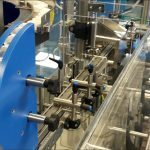 Subsequently, a pneumatically operated, container specific clamp, extends to locate and hold each container, at the capping position, preventing it from rotating. Therefore, the containers are accurately positioned, and held, beneath the capping position, in readiness to be capped. Therefore, with the cap gripped in the chuck, ready to descend, and the container located accurately and positioned beneath the chuck, the chuck descends at a controlled rate, set via the recipe. Also, the capping application is controlled via recipe values. Finally, the cap is applied, onto the container, with accurate servo torque control. Once screw capping has been completed. 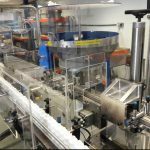 Containers continue to be indexed around the machine, after cap application, to the exit position. Then, the containers exit the starwheel and feed onto the outfeed container slat conveyor. Thus, allowing the containers to travel onward, to the next packaging operation on the packaging line. The 9” HMI colour touchscreen interface allows the user to operate and control the AK0060 Capping Machine. The Machine function and sequence is controlled by the PLC software program. However, specific movements, speeds, and timing are controlled via the programmable recipes for each cap and container size. Additionally, the AK0060 machine features auto fault conditions and restarts, as well as alarms and status. At a glance, operating status of the machine is visual from the illuminated traffic light style status beacon. The AK0060 is configurable to suit Screw, Press and ROPP cap closures. Maximum output speed of up to 50 – 60 caps per minute. 9” TFT colour HMI Touchscreen with recipe control. Programmable for different capping applications. Complete range of capping chucks to suit all cap closure types. Accurate and repeatable servo torque control. Fast product changeovers with dedicated cap and container change parts. Accurate and smooth container handling. Integrated alarms / fault conditions. The Chart below provides estimated guides of output that can assist selection meeting your requirements. Please contact a member of our KBW team for project specific advice.